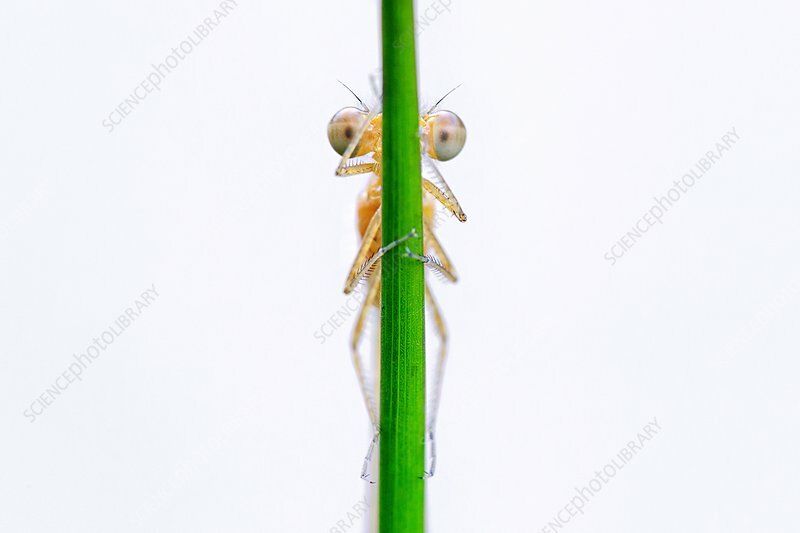 Macro photograph of a newly emerged common blue damselfly (Enallagma cyathigerum) holding on to a single blade of grass. This damselfly is often pale pinkish-brown on first emergence and it may take up to a couple of days for them to develop their bright adult colours, depending on weather conditions. Photographed in Dorset, UK, in summer 2016.